You have fallen behind on your bills. Your monthly income is not enough to meet your monthly expenses so you start to live off credit cards. You use your credit cards to pay for groceries, utilities, car payments, rent, and other things. Sometimes you use cash advances on the cards to pay for some items, other times you can just swipe the card. When minimum payments come due you don’t have enough money to make them yourself, so you use cash advances on the other cards to pay the minimum balance on one card. Later, you have it so that when one card which carries your entire credit balance comes due, you pay it off with a cash advance from another credit card, thereby moving the entire credit balance to another card. Finally, when you want to file for bankruptcy one credit card at the end of your balance-transfer scheme carries a balance of tens of thousands of dollars. You’re ready to file for chapter 7 bankruptcy, so what’s the problem? The scenario just described is called credit card kiting. The potential problem with credit card kiting in bankruptcy is that the resulting debt may be excepted from discharge due to fraud. In plain terms, fraudulently incurred debts are not eligible for discharge in bankruptcy, and by using cash advances from one card to make minimum payments on another card you may have been inducing the credit card company to give you credit by falsely representing that your accounts are in good order given the minimum payments, when in fact you did not have the money and never intended to repay the entire balance the whole time. (A) false pretenses, a false representation, or actual fraud, other than a statement respecting the debtor’s or an insider’s financial condition. (5) that the creditor sustained the alleged loss and damage as the proximate result of the representations having been made. The factors generally require the debtor to make a fraudulent misrepresentation (which requires intent by the debtor to deceive the creditor), justifiable reliance on the part of the creditor, and damages. In the Ninth Circuit, the court will look at the “totality of the circumstances” to determine whether the debtor intended to deceive his creditor in making “a false representation: 1) by creating the facade that all of his accounts are in good standing; and 2) by failing to disclose to the creditor his intent not to pay his credit card debt.” (In re Eashai). 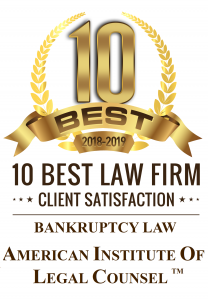 It is important to note that just obtaining cash advances from one card to payoff the minimum balance on another is not enough to run afoul of Section 523(a)(2)(A) and thereby have the debt excepted from discharge in bankruptcy. To have the debt excepted from discharge you must have done this act with the intent to deceive the creditor. Therefore, if you get a cash advance from one credit card to make the minimum payment on another, but always intended to payoff all of the cards, you will not have engaged in fraudulent credit card kiting. Your subsequent actions like making minimum payments on the cards out of your income, and the substantial period of time between the cash advances and filing for bankruptcy will help demonstrate your genuine non-fraudulent intent. In credit card kiting the debtor is making a false representation by failing to disclose to the creditor that he does not intend to repay the debt, which he is obligated to do once he forms that intention. In essence, once the debtor in a credit card kiting scheme decides that he will not repay the debt, he has a duty to disclose that intention to the creditor. If he does not disclose his intention to not repay at that point, his ongoing credit card kiting will formulate a false representation by omission. In essence, the ongoing minimum payments by credit card cash advances will represent to the creditor that the debtor’s accounts are in good order and that he intends to repay the debt accordingly. Since the credit card scheme necessarily creates this false representation, once the debtor forms an intent to not repay the debt he has a duty to correct the inherent misrepresentation created by the credit card kiting scheme. If the debtor omits his intention and continues to engage in credit card kiting, the ongoing scheme and omission will constitute a fraudulent representation by omission. 12. Whether the purchases were made for luxuries or necessities. As noted above, a debt will only be excepted from discharge under Section 523(a)(2)(A) if the creditor justifiably relied on the false representation. In credit card kiting, the misrepresentation comes when the debtor omits his intention to not repay the debt. Therefore, when a debtor is engaging in credit card kiting with the intention of not repaying the debt, the debtor is inducing the creditor to refrain from acting (canceling his credit card) by reliance upon the debtor’s appearance of his intent to repay. In brief, justifiable reliance is almost ensured by nature of credit card kiting. To have a debt excepted from discharge due to fraud in a credit card kiting scheme the debtor must have been acting with the intent to not repay the debt as evidenced by the totality of the circumstances. Subsequent conduct can show the debtor’s state of mind and whether he intended to repay the debt or not.